I love delving into the vast array of global cuisine. Having grown up on military bases I was exposed to people from a large variety of cultures. They inspired me to learn more about food all over the world. I love learning Indian, South American, Indonesian, and African recipes. There are so many interesting dishes and so much to learn. Brian Heddlesten took his first steps into the culinary world with the Sunset Bread Cookbook at the age of 13. After experimenting with every recipe from the family cookbooks he found that he had a love for cooking and particularly world cuisine. He stepped into his first culinary job with the Aramark Corporation and over the following years worked with industry giants such as Sodexho and Providence Health Services. While working for Providence he was inspired by his Executive Chef to provide quality dining in the healthcare industry, which was just gaining momentum. 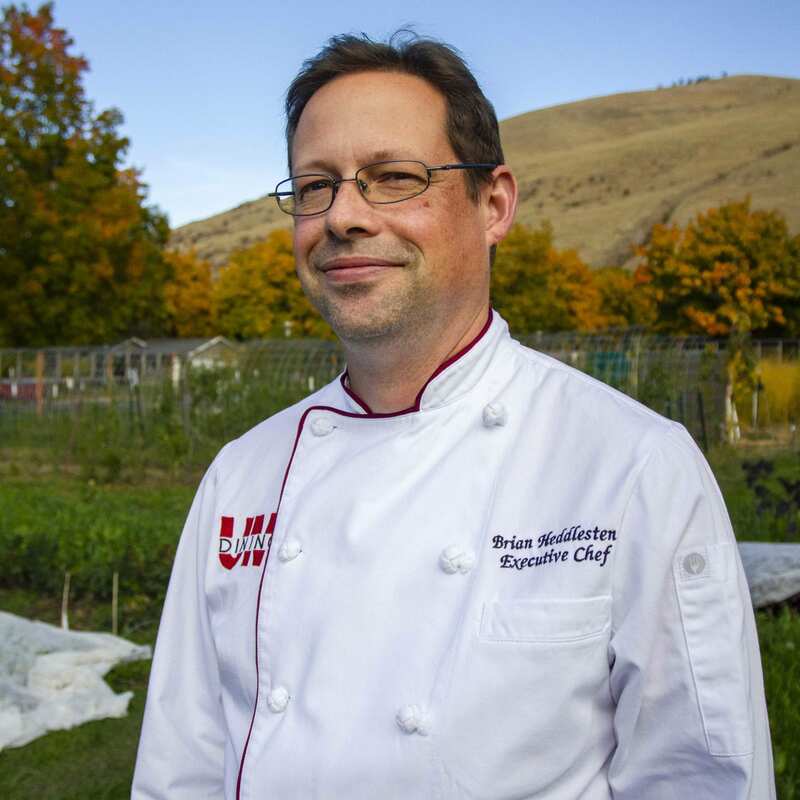 Over the next ten years, Brian worked as the Executive Chef for companies such as The Springs Living, The Goodman Group, and Avamere developing menus that provided high quality restaurant style dining with an emphasis on new taste experiences and education on world-wide cuisine. Brian Heddlesten joined the University of Montana in September 2017 after deciding to relocate from the Pacific Northwest. He loves the outdoor options, relaxed environment, and the dedication of the dining staff as they create some of the best food available in Missoula. During his spare time, he and his fiancée, help their four year old son develop a love for cooking and new experiences. They currently make a lot of fried rice and guacamole. The trend towards clean labels and transparency has had a strong effect on our recipe development. We are aiming towards less complex dishes that display a handful of seasonal ingredients with distinct flavors. As we develop new recipes we are looking at herbs, pickled condiments, and citrus flavors to replace gravy and other heavy sauces. We are an active participant in the CIA’s Menus of Change initiative and use this to guide our menu development. We place a large focus on incorporating whole grains into meals, sustainable seafood options every week, and local produce throughout our dining operations. We feature health related and plant forward pop-ups, in conjunction with the UMD Dietitian, throughout the year to introduce students to new flavors and encourage nutritional awareness. After way too many months of snow in Montana, the first warm clear day drives you to your bbq. Winter is over, it is time to embrace spring. After coming home from work I want something simple yet delicious. Trout is easy to come by in Montana, either at the store or out fishing. The trout for this recipe comes from Flathead Lake, an hour north of Missoula. 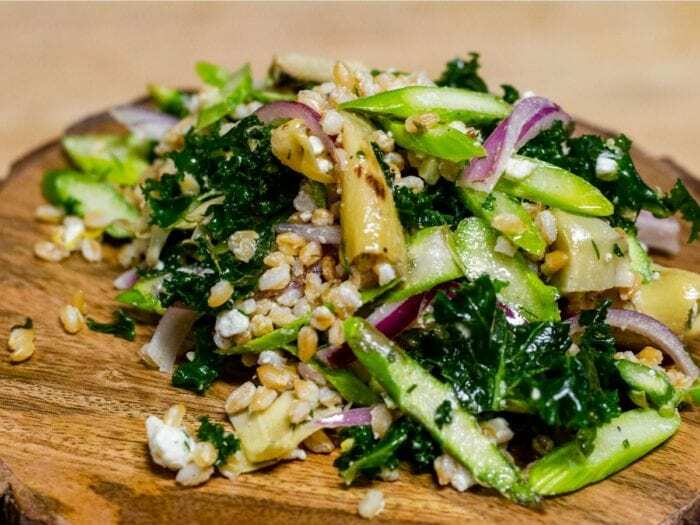 Pairing the trout with a salad using local farro and spring vegetables, makes a quick meal. 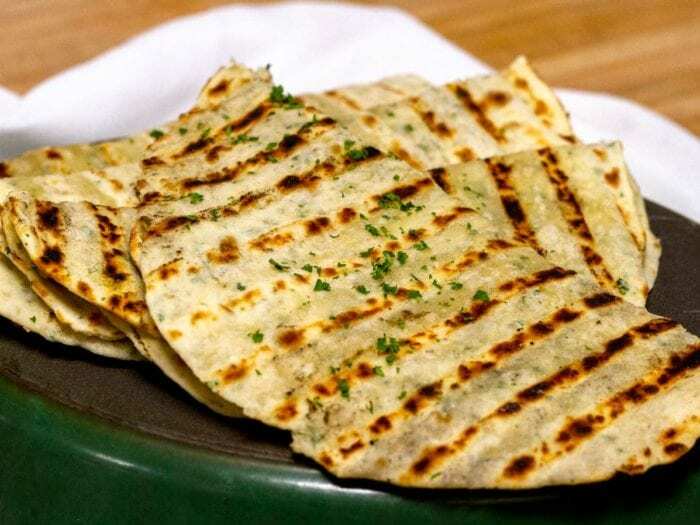 While prepping the salad I will throw the flatbread on the grill. It is great with the chimichurri as well. My brother inspired me to start cooking when he was 15 and I was 13. He began making breakfast before school for us and it was horrible. After a couple days I realized I would need to start learning to cook if I wanted a better breakfast. In all fairness, my brother did eventually learn to cook and became pretty good at it. The variety. You are always doing something new, from creating a new dish to menu development to working with a new “just discovered” ingredient. There is always something interesting right around the corner. It is a career the feels different every day. Having spent the last 15 years in Portland, Oregon I had access to a large number of amazing restaurants. My favorite was Beast. They serve a five course prix fix dinner that always includes an absolutely unforgettable Foie Gras Bon Bon. 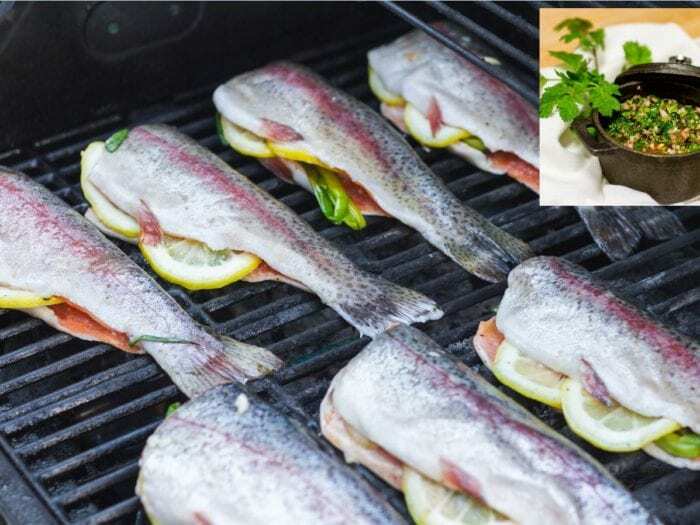 Whole Trout with Cilantro ChimichurriTrout is easy to come by in Montana, either at the store or out fishing. The trout for this recipe comes from Flathead Lake, an hour north of Missoula. Garlic FlatbreadWhile prepping the salad I will throw the flatbread on the grill. It is great with the chimichurri as well. Artichoke and Raw Vegetable Farro SaladPairing the trout with a salad using local farro and spring vegetables, makes a quick meal.